I had just finished reading and reviewing A Sip of You (Book 2 in the Epicurean Series) by Sorcha Grace. 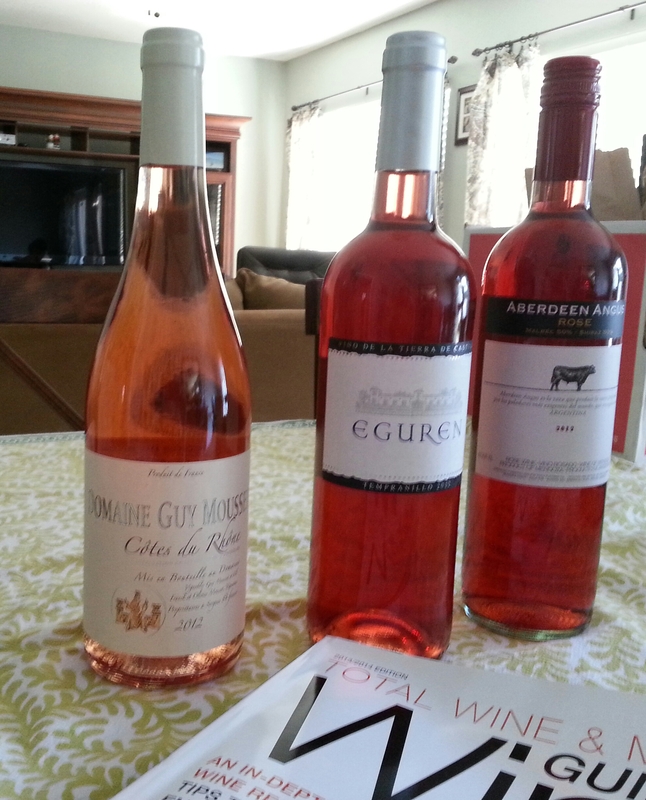 Her 5 star story inspired me to try new rose wines. I bought three wines to sample. The first wine is from France. Domaine Guy Mousset – Cotes du Rhone 2012. ~Refreshing, fruity, hints of strawberry, and a great price! The second wine is from Spain. Eguren Tempranillo 2012 ~Light, refreshing, raspberry and red berry flavors, great for tapas! Great price too! The third wine is from Argentina. Aberdeen Angus Rose 2012 ~ Light bodied, crisp, cherry and strawberry flavors, fresh and fruity, great with light salads. While all three were equally delicious, my favorite is the wine from Spain, the Eguren Tempranillo 2012. Rose’s have quickly become my favorite anytime wines. They are perfect when entertaining or just lounging around. Try these wines and let me know what you think. Do you like food, wine and romance? Check out these books too!